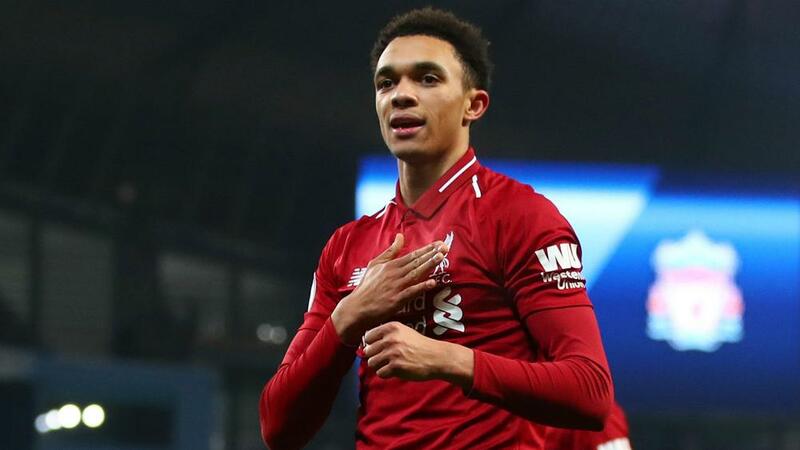 Trent Alexander-Arnold feels Liverpool can take inspiration from Manchester City after the champions ended the Reds' unbeaten start to the Premier League season. Liverpool went down 2-1 at the Etihad Stadium on Thursday, Leroy Sane scoring a second-half winner for Pep Guardiola's side after Roberto Firmino had cancelled out Sergio Aguero’s opener. City therefore cut Liverpool's lead atop the table to four points and, with Tottenham only two points further back, an exciting title race looks on the cards. Last season, City's unbeaten run in the league was ended by Liverpool at Anfield in January, but Guardiola's men responded by going on to win the title with a record-breaking 100 points. And Alexander-Arnold, who helped set up Firmino's equaliser on Thursday, feels Liverpool can use the pain of their first league loss of the campaign to drive them on. "Every defeat hurts. But losing to City is really hard because we’ve been on such a long unbeaten run," the England defender said. "We've had a lot of wins this season and we were dreading this moment. In the back of our minds, we knew we would lose a game eventually because football is like that. "But City lost their unbeaten record at Anfield last season – and at the same time of year – and they responded by going on another long run of winning games. "That's what the top teams do and it's what we've got to do. Listen, this is a bitter one to take. What we've got to do is get better and move forward. We don't let one defeat ruin our season." "We're going there to win," he added. "It's not a free hit against Wolves. It's a chance to win a trophy – and everyone at Liverpool wants to win things. We're not going there to get knocked out. We want to win. It becomes a habit. "I remember Steven Gerrard's goal against West Ham [in the 2006 final]. It was a great final and a great day for the club. We're all trying to get back to those days again – and hopefully that will happen this season. "Liverpool is a great club with a massive history, and the players who are here now must carry that responsibility. We haven't won a trophy for a few years. It's been too long, really, for a club like this. But it is what it is. We can only try to do our bit and add to that history."